What do Lions Eat – an elephant? Information about Lion including lion pictures, lion pics, lion images, lion facts, and their eating habits. Find out What do lions eat? The lion is a large mammal. It originally lived in Africa and Asia. Lions are mostly found in Africa and in a small reserve in India. They can live in cool areas, very hot areas or in thick forests. In the past, there were wild lions in Europe. Today, many live in zoos around the world. Lions live in groups that are called prides. 10 to 20 lions may live in a pride. Each pride has a home area that is called its territory. 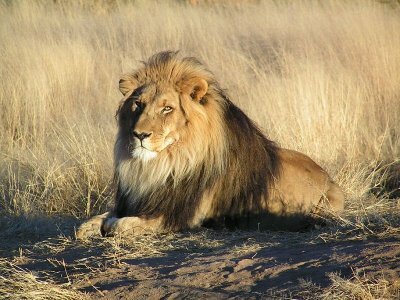 Lions do not allow strange animals to hunt in their territory. A territory can be as large as 260 square kilometres (100 square miles). Lions live for 25 years in captivity. 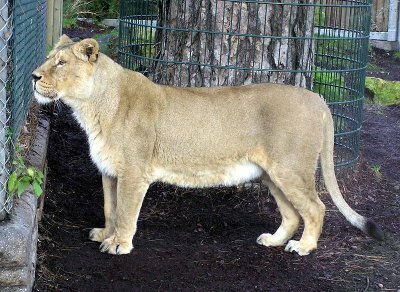 A lioness is a female lion. The female lions hunt the animals for the prides. They are ready to have young when she is 2-3 years old. 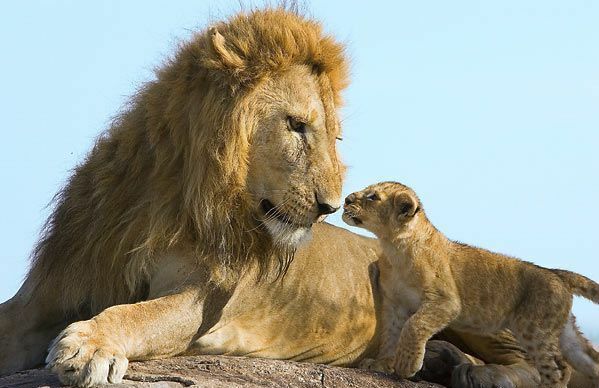 Baby lions are called cubs. Cubs are born after 3 1/2 months. 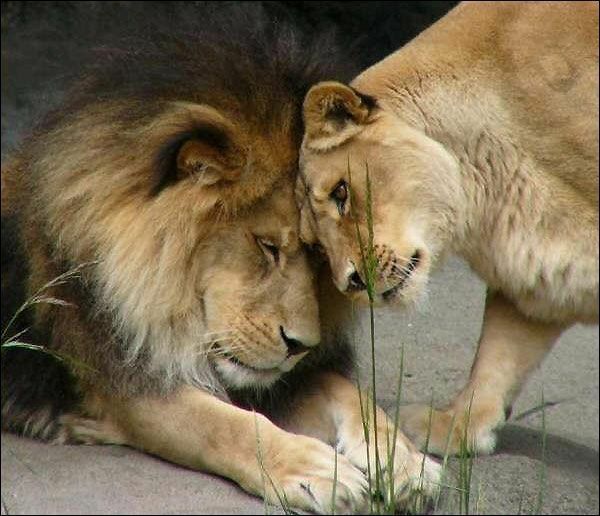 Lions do not have a den (home) where they would live for a long time. The mother moves around with the cubs. Lions hunts many animals, for example, gnus (wildebeest) and antelopes, and eat a lot of meat. Male lions usually weigh 159 to 180 kilograms (350 to 400 pounds), but they can weigh more. It is the only cat with a mane. The prey consists mainly of large mammals such as wildebeest, impalas, zebras, buffalo, and warthogs in Africa and nilgai, wild boar, and several deer species in India. Occasionally, they take relatively small species such as Thomson’s Gazelle or springbok. Extensive statistics collected over various studies show that lions normally feed on mammals in the range 190â€“550 kg (420â€“1210 lb). Wildebeest rank at the top of peferred prey (making nearly half of the lion prey in the Serengeti) followed by zebra. Most adult hippopotamuses, rhinoceroses, elephants, and smaller gazelles, impala, and other agile antelopes are generally excluded. A video has been shot recording what no one knew occurred before-that lions are capable of taking down full grown elephants. Lions are among the animal kingdom’s most brutal and efficient predators but no one had heard of them hunting elephants before. The BBC’s Natural History Unit decided to send a film crew to try to capture a hunt on film. The lions hunt elephants because they have discovered that they can. The dry season has always been a desperate time for wildlife in northern Botswana. One year, perhaps, water, and therefore prey, was scarcer than ever and a small or weak elephant was killed in a moment of bold opportunism. Then there was no turning back. Author adminPosted on October 10, 2006 January 4, 2012 Categories ScienceTags about lions, african lions, animal kingdom, baby lion, baby lions, deer species, detroit lions, do lions eat elephants, elephant, europe today, female lion, female lions, gazelle, how do lions eat, hunt elephants, impalas, jungle lions, lion eats, lion facts, lion images, lion pics, lion pictures, lioness, lions, lions eat, mail, northern botswana, old baby, predators, prey, serenge, square kilometres, strange animals, thick forests, warthogs, what animals do lions eat, what do lion eat, what do lions eat, what do lions feed on, what lions eat, wild boar, wild lions, zebras64 Comments on What do Lions Eat – an elephant?